Having a well-planned closet space is essential to keeping your house free from clutter. If you are planning on expanding your closet or redesigning it, there are few pointers that you should keep in mind before jumping in. Calculate the Space: The first thing that you will have to do is calculate the space you have vs. the space you will need. Do you really need to expand or would a simple redesign suffice? If you do not have enough closet space, consider using an entire wall. Select a wall in your bedroom or next to the bathroom and add wardrobes or easy DIY shelves that can help you store in a smart and efficient manner. Creative Shelving: Get creative with the space. It is always advised to add shelves on top of the hanging area as opposed to below your clothes. Think about how you would like to store your belts, bags, and jewellery. Would you need separate closet space for that or would you be able to use up some other space in your room? Everything you own does not have to be crammed into one small space. Make a List: Before diving into the design of your closet, make a list of what your expectations are from the new closet. The best way to do this is to make a list of things you must have in your closet. For example, is a full-length mirror a necessity in your closet? If you have a large enough space or are working on a walk-in closet, you can also consider adding space for iron boards and any other electronics. Lighting Says it All: Lighting has become one of the most creative tools that you can play with for your closet. Some of the most common light designs found now are lights that are installed in wardrobes that automatically turn on when you open the doors. Consider how you would use the space and choose your desired style of lighting. You can choose all overhead wall lights, specific wardrobe lights, LED light on the mirror etc. The options are endless. 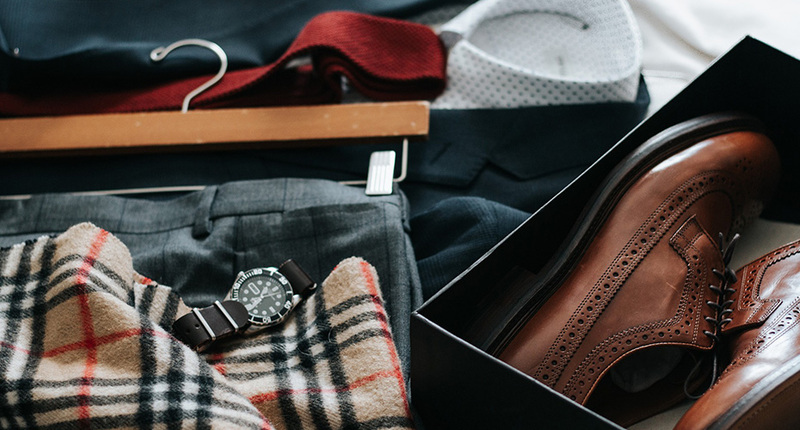 Don’t forget the Shoes: While thinking about planning the closet, most often we forget to take into account where our shoes would go. There are different designs that can be adopted for shoe storage. If you have walk-in closets, they can be arranged on shelves. In smaller spaces, it would make more sense to arrange them is closed drawers. Alternatively, you can also think about adding storage benches in your closet along your bedside to store your shoes. Smart Organization is Key: Do not postpone organizing until the closet redesign is done. Rather, integrate smart organization into your redesign plans. For example, if you are mostly going to be using wicker baskets and storage boxes, then you have to design a shelf centric closet. Or, if you prefer everything to be hung in a certain order, you will have to design the closet accordingly. Calculate the Budget: Like any other redesign or remodeling project, calculating the money you have saved to spend on your closet redesign is important. This will help you narrow down a lot of your decisions. You can decide price ceilings on different aspects of your closet redesign based on the budget that you have. Design a Functional Closet: And finally, do not go overboard on designing a space that only looks good. You will use your closet every day. Therefore, needless to say, it must be functional and easy for you to use. Go to different furniture stores and take a look at models of closet designs. This can give you some ideas on what you would like to adopt.